Omar Ba, Dead Time 1, Ferme-Asile, Sion. Photo: Robert Hofer. 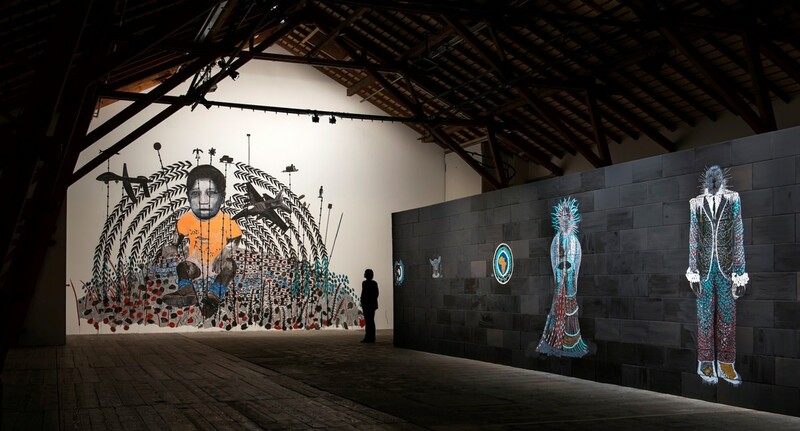 Hales Gallery is pleased to announce Omar Ba's solo exhibition, Dead Time 1, at the Ferme-Asile in Sion, Switzerland. The Ferme-Asile is a multidisciplinary arts centre focusing on the development and promotion of contemporary art and music in the Swiss Valais. For his new show, Dead Time 1, Omar Ba has transformed the Grange, the Ferme-Asile's exhibition space, into his own artistic universe.